On the eve before Mobile World Congress officially kicks off in Barcelona, HP announced its first Android tablet, the Slate 7. 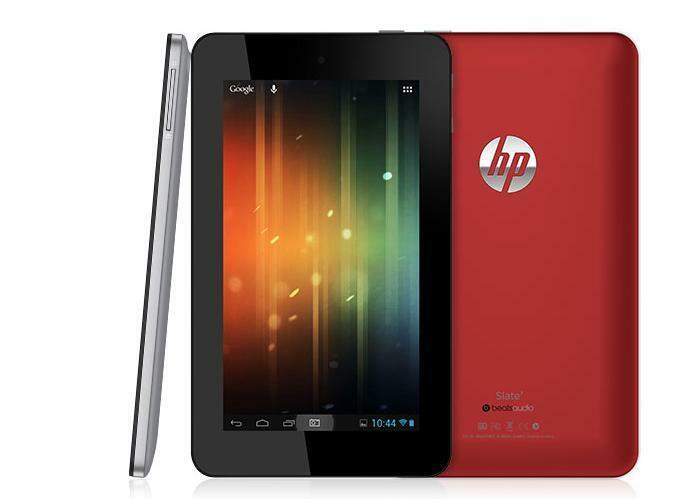 The device is a relatively mid-range 7-inch tablet with a 1024 x 600-pixel resolution. It packs a 1.6GHz dual-core processor, Android 4.1 Jelly Bean, Beats Audio support, a 3-megapixel camera, a VGA front-facing camera for video chat and 1GB of RAM. It packs just 8GB of storage, however. The real meat of the story here is that HP is re-entering the tablet space after its failed launch of webOS powered tablets. The Slate 7 is expected to launch in April for a budget-friendly price of just $169. We’ll be trying to find one here at Mobile World Congress to bring you a closer look. The HP Slate7 is expected to be available in the United States in April with a starting price of $169.Additional information about the HP Slate7 is available at www.hp.com/slate and The Next Bench.